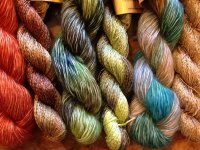 Celebrate Your LOCAL YARN SHOP on 4/21/18 WITH us! 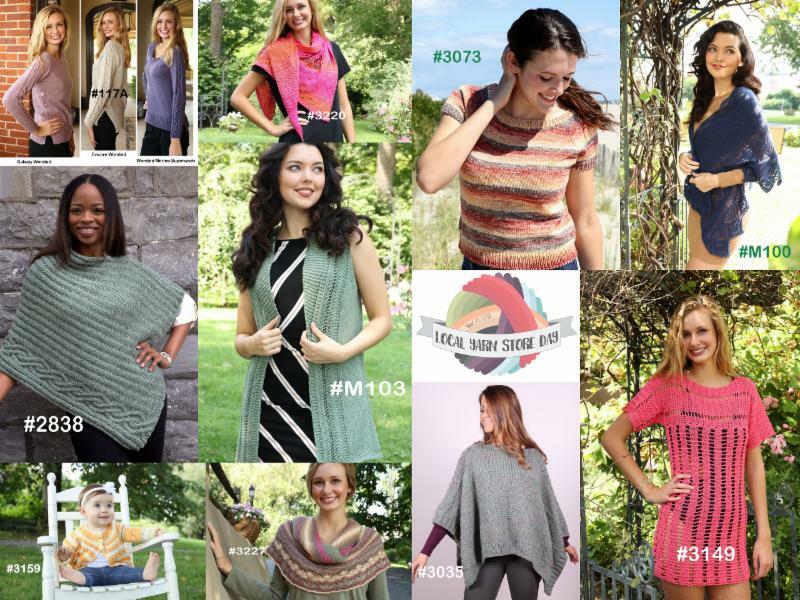 Lots of FUN: Free KAL & Open Social Knitting, Free Patterns, Prizes, Discounts & MORE! THERE ARE A LIMITED NUMBER OF THE "LOVE YOUR STORE" Baah LaJolla KITS AVAILABLE ON SATURDAY! Love Your Store was designed by Cally Monster. 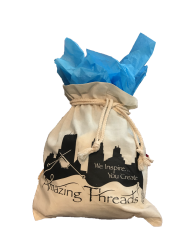 Kit includes yarn, pattern and custom stitch markers. 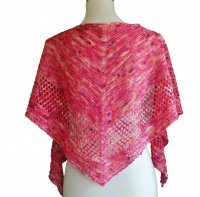 Carol Sunday has gifted our LYS with a free pattern for Windfeather with the purchase of yarn to make it. 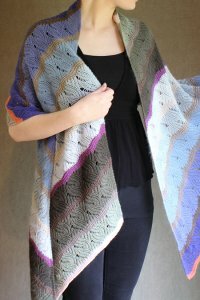 Windfeather is a Light and breezey shawl with rippling garter waves and floaty lace feathers. Simple and fun to knit ... heaven to wear! 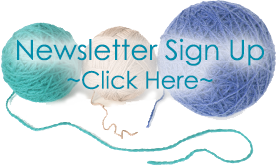 Purchase Plymouth Yarn and Receive FREE Patterns! Check out the beautiful variety of patterns that will be available with this PLYMOUTH promotion on Saturday! 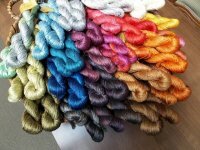 WE'RE PARTICIPATING IN LOCAL YARN SHOP DAY--APRIL 21, 2018! 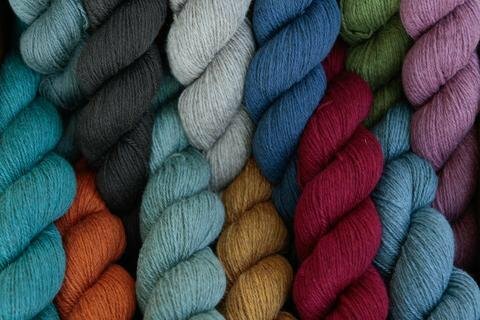 Purchase June Cashmere yarn from one of our stockists at a local yarn shop near you and receive a code to use on our website for a free digital pattern. To download, place the pattern in your cart and enter the code you receive at purchase to remove pattern charges. Code is available with purchase in shops this Saturday only, April 21, 2018. You may redeem the code on our website Saturday and Sunday, April 21-22, 2018. We just received HerStory for April 2018.